ಆಲೂರು ಅವರ ಬಗ್ಗೆ ಏನು ಹೇಳುವುದು ? ಬೇಡದ ಫ್ರೆಂಚ್ ಕ್ರಾಂತಿ, ಟರ್ಕ , ಚೆಂಗೇಸ್ ಖಾನ್ ವರಾತ ಕೇಳುತ್ತೆವೆ. ನಮ್ಮ ಮುಂದಿನ ಪೀಳಿಗೆಗೆ ಇವರ “ಕರ್ನಾಟಕದ ಗತ ವೈಭವ” ಓದಿಸಬೇಕು. ಒಳ್ಳೆಯು ವಿಷಯವನ್ನು ಹಾಕಿರುವದಕ್ಕೆ ನಿಮಗೆ ಧನ್ಯವಾದಗಳು. kannaDa kulapurOhita aalooru venkaTa raayara bagge maatanaaDuvude hemmeya vishaya. Karnataka Gatha Vaibhava literally means The glory that was Karnataka!. It was a book that recounted in great detail the glorious history that had been Karnataka’s until the Marathas, Nizam and the British took over. The book created tremendous impact on the young and old alike. The movement soon caught the imagination of the public and people started rallying around the Ekikarana movement and the movement picked up momentum. dharwad: “what lokamanya tilak did for maharashtra, alur venkata rao did for karnataka,” stated former chairman of karnataka sahitya academy giraddi govindraj. speaking at the 38th death anniversary of alur venkata rao at sadhanakeri in dharwad, he said the contributions of venkat rao to the unification of karnataka were remarkable. his vision and mission resulted in unification of karnataka besides in the rise of karnataka sahitya parishat and karnataka vidyavardhaka sangha. he called upon younger generation to emulate the ideals of alur. writer b.r. wadappi presided. dr shrinivas ritti also spoke. Alur Venkata Rao (a.k.a Alur Venkatrao) is referred to as Karnatakakulapurohita or the high-priest of Karnataka Community. He is singularly responsible for creating awareness among the people about Karnataka’s greatness in the political and cultural field in the past. It is worthwhile to have a glance of sociopolitical scene of Karnataka when Aulr Venkat Rao was born in late 19th century. At the time the land of Kannadigas was divided into five parts. Maharaja’s Mysore province of 9 districts formed strong and single political entity. Two districts of Bellary and South Kanara came under Madras Presidency. Three districts of Bidar, Gulburga and Raichur came under Nizam of Hyderabad’s dominion. Coorg or Kodagu formed different centrally administered district. The four districts of Dharwad, North Kanara, Bijapur and Belgaum formed part of Bombay Presidency, usually identified as North Karnataka. This North Karnaka was referred to as `Southern Maratha Country’ when Alur Venkat Rao was born. So great was the Marathi influence in this area that the youngsters attended Marthi High Schools, and for higher or college education they had to proceed to Pune. Kannada remained a spoken language and at the most, medium of instruction at primary level in villages and towns. Mr. Venkat Rao was born in Bijapur in 1880 in a well-to-do family of landlords. His father Bhim Rao was a Shirastedar. Shirastedar was an important Accounts Official at the Taluka level under British rule. Bhim Rao and Venkat Rao’s mother Bhagirathibai were of pious and charitable nature. There were students of Varanna (weekly free food) the year round, besides relatives who stayed with them for schooling and other facilities in the big Alur household. Alur Venkat Rao attended primary school in different small towns where his father was transferred and he passed Matriculation examination (school graduation) from Dharwar in 1897. He had acquired good fluency in Marathi, Sanskrit and English by then. But his firist love was Kannada. He sadly remembers that there were no good books, journals or periodicals in Kannada at that time. He attended Fergusson College in Pune and completed his B.A. and L.L.B. (law) degrees by 1905. His student years in Pune were memorable. The country was witnessing early nationalism in different forms and phases. Lokamanya Tilak was the prominent leader who shaped young minds, by arranging Shivaji Utsav and Ganapati Utsav and establishing national schools. Veer Savarkar and Senapati Bapat were Alur’s contemporaries in college. Partition of Bengal as envisaged by the Vice Roy Lord Curzon had led to a ‘nation wide’ agitation. It kindled latent nationalism among educated youngsters in several ways. Alur returned to Dharwad determined to serve the country, in the ways that suited him He stared as a pleader, one of the most coveted posts in those days which brought name and fame with minimum work according to him. But soon call of mother Karnataka snatched him away from all material attractions. 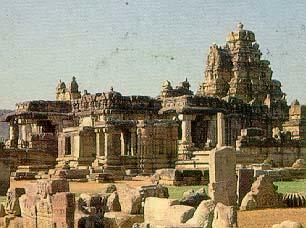 A chance visit to Anegundi and vast ruins of Hampi provided Alur a clear vision about his future course of action. The greatness of Vijayanagara empire and glory of Kannada valour which spread beyond Maharashtra in earlier age, prompted him to awaken Kannada people of his region, who were still wollowing in the ‘hangover’ of Peshwai Maratha rule. Whereas Bengalis could not tolerate one division of their motherland, how could Kannadigas afford to be so apathetic to their mother land being divided into five zones? This was the painful reflection of young Alur. He decided to write a book that could awaken his sleepy people. ‘Karnataka Gatavaibhava’ was the result. It is a master piece bringing out contribution of all Karnataka dynasties enriching Indian culture by conquests, constructing great temples and monuments promoting trade and commerce, encouraging learning, promoting literature etc. It took 13 years to collect material from inscriptions, coins, and old manuscripts to write this book which created history. His ‘Karnataka Gatavaibhava’ (Past glory of Karnataka) completes ninety years (1917), this year (2007). Alur continued writing books, editing journals establishing schools, founding research centres and libraries, touring most of the time and giving lectures. He met like-minded people scattered in all the five areas specified earlier. In between he was imprisoned and his license to practice as pleader was cancelled. This made Alur devote himself completely for unification of Karnataka. Finally Alur Venkata Rao succeeded. Fifty years of his mission bore fruit. Kannada speaking land became one under the name of Mysore State (1956). It took another 18 years to have its rightful name of Karnataka (1974). It only shows how many hurdles Alur had to cross in olden days of British rule, when only change in rightful name took nearly two decades in Independent India! Alur wrote twelve books and eight booklets. He encouraged N.S. Rajpurohit, D.R. Bendre, Shantakavi, Pandit Taranath, Hardekar Manjappa etc., all stalwarts in their fields, to write. He himself published their early books and distributed them. He was an active member in all literary activities outside North Karnataka. He mobilized funds and popular support in founding Kannada Sahitya Parishat, the august the literary body in 1915. He was vice president and real force behind Vijayanagara sixth-centenary celebrations in Hampi when all living great South Indian historians, researchers, archeologists and writers were brought on a single platform in 1936. He was elected as the President of 16th all Karnataka literary meet, “Sahitya Sammelan”held in Mysore 1930. He spent his last years of life writing books on Madhwa philosophy and Bhagavadgita for commoners leading a sage’s life. He died in 1964. Dharwad city is full of memorials, in founding of which Alur had a hand. Karnatak College and University, Shantesha library and Vidyavadhak Sangh. Itihasa Samsodhak Mandal, and Sadhankeri, which he himself named and lived in. Alur’s Nanna Jeevana Smritigulu (“Memories of my life”) was serialized many years ago in “Jayakarnataka” monthly which he had started and later handed over to others. Late G.B. Joshi, doyen among Indian publishers, brought them in a book form in 1974 when Mysore state became Karnataka. It is a tribute and fulfillment to Alur’s efforts of half a century. The book contains many poignant memories of men and incidents of freedom struggle, and Alur’s unique role in making the struggle for Karnatakakatva, as part of National movement. The Arabian Sea water that splashes the shores of Ullal near Mangalore in Karnataka could tell you the story of Abbakka Rani, locally known as Abbakka Mahadevi. Such is her personality in the region that she has become a folk legend. Abbakka Rani is one of the earliest freedom fighters of India who resisted the Portuguese.The regions where Abbakka was queen is known as Tulunadu. Rani Abbakka was queen is known as Tulunadu. Rani Abbakka, though a Queen of a little known small princely state, Ullal, was magnetic woman of indomitable courage and patriotism. While Rani Jhansi has become a symbol of courage, Abbakka, nearly 300 years her predecessor, has been largely forgotten by history. Her furious wars with Portuguese are not well recorded. But whatever is available speaks of a luminous personality of awesome valour and bravery.Sources, such as archival records, travelogues of several Portuguese travelers and historical analysis confirm that there were three Abbakkas: mother and two daughters, who fought against the Portuguese Army between 1530 and 1599. The Portuguese had made several attempts to capture Ullal, strategically placed. But Abbakka had repulsed each of their attack with sheer courage and ingenuity. The queen’s story is retold from generation to generation through folk songs and yakshagana, the popular folk theatre, In bootaradhana, (which literally means appeasing the possessed, a local ritual dance) the personal in trance narrates the great deeds of Abbakka Mahadevi. Abbakka, dark and good looking, always dressed in simple clothes like a common village woman. She rode the horse stately and worked deep into the night dispensing justice. In 1558 the Portuguese Army perpetrated another wanton cruelty on Mangalore, putting to death a number of men and women, both young and old, plundering a temple, burning ships and finally setting the city itself on fire.Again, in 1567, the Portuguese army attacked Ullal, showering death and destruction. The great Queen Abbakka Devi Chowta (Bucadevi I) resisted it.The same year one general Joao Peixoto was sent by the Portuguese Viceroy Antony Norohna with a fleet of soldiers. He captured the city of Ullal and also entered the royal court. However the Queen escaped and took asylum in a mosque. The same night, she counter-attacked the Portuguese army, with a help of 200 of her soldiers and killed General Peixoto and 70 Portuguese soldiers.The invaders were forced to flee to their ships in disgrace. The Portuguese soldiers who remained in Ullal were dead drunk, in over confidence and were dancing. Taking advantage of this opportunity, about 500 Muslim supporters of Abbakka Rani attacked the Portuguese and killed Admiral Mascarenhas along with the help six thousand Muslim soldiers in 1568, and the foreign army had to leave the Mangalore fort. In 1569, the Portuguese Army not only regained the Mangalore Fort but also captured Kundapur (Basrur). Abbakka Rani was a source of threat to the Portuguese. They won the confidence of Abbakka’s estranged husband, kind of Bangher and started attacking Ulla. Abbakka Rani fought vigorously. Abbakka lost the war as her husband assisted the Portuguese by revealing to them her strategies of warfare, which he was familiar with. She was arrested and jailed. However, the warrior that she was, she was, she revolted in the prison and died as a soldier – fighting. As a result of these efforts the Karnatka Government has erected a statue of the Queen in the city of Bangalore. IGNCA is making a documentary on Abbakka Rani, incorporating the folk myth. Shri Kailash Kr. Mishra is a Research Fellow, in Janpada Sampada and is involved in the documentary Project on Abbakka. The author expresses his sincere thanks to Prof. Vasantha Madhava, Prof. Amrut Someshwar, Prof. B.A. Vivek Rai, Dr. Wahab Doddamane, Dr. Nandavar and Shri Bharatadri, for the inputs they gave on Abbakka Rani. THOKKUTTU (ULLAL): The sixth Veera Rani Abbakka Utsav began here on Sunday with a call to place Rani Abbakka on a par with other nationalist personalities. Speaking at the inaugural session, well-known writer and Nadoja Award winner Sara Aboobackar said Rani Abbakka was not like other queens who stayed in palaces; she lived amid people and when it came to protection of the independence of her people she fought with all her might and laid down her life. Ms. Aboobackar said Rani Abbakka was as valiant as Kittur Rani Channamma, but her history was not very well known. Two other queens who were of Rani Abbakka’s stature were Chand Bibi and Razia Sultana, she said. President of the Dakshina Kannada district Kannada Sahitya Parishat Pradeep Kumar Kalkura regretted that the history of Rani Abbakka had not being documented in a scientific way, and the Government had neglected her role in fighting foreign aggression. He said a statue of Rani Abbakka should be installed not just in Mangalore but also in Bangalore near the Town Hall. President of the Karnataka State Tulu Sahitya Parishat Seetharama Kulal said the Tulu Academy would set up a fund for taking up research on Rani Abbakka. Mr. Kulal said he had already spoken to the Mangalore City Corporation to name the circle outside the Deputy Commissioner’s office after Rani Abbakka. Chairman of the Kannada Development Authority B.M. Idinabba said it was not correct to restrict Rani Abbakka’s identity to Tulu Nadu just because she ruled a part of that region. She should be recognised on a national level. Rani Abbakka, though a Queen of a little known small princely state, Ullal, near Mangalore, in present day Karnataka, was a magnetic woman of indomitable courage and patriotism. While Rani Jhansi has become a symbol of courage, Abbakka, nearly 300 years her predecessor, has been largely forgotten by history. Her furious wars with Portuguese are not well recorded. But whatever is available speaks of a luminous personality of awesome valour and bravery. signs of being a visionary. there was no equal to her in military science and warfare, mainly in archery and sword fighting. Her father encouraged her in this and after she was well versed in all areas, she was married to a neighbouring local king of Bangher. The marriage did no last long with Abbakka breaking the ties by returning the jewels given by his to her. The husband thus nurtured revenge against Abbakka and later on joined the Portuguese in a treaty, to fight Abbakka. According to the folklore, Abbakka is the last known person to have the Agnivana (fire-arrow) in her fight against the Portuguese. 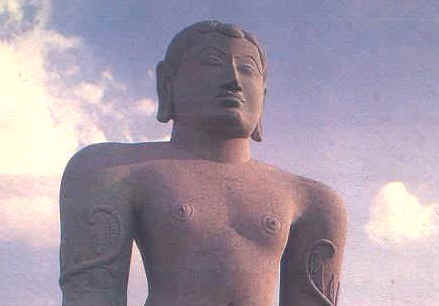 Though Abbakka was a Jain by faith her administration was well represented by Hindus and Muslims. Her army too consisted of people from all sects and caste including Mogaveeras, a fisher folk community. The first attack by the Portuguese in south Kanara coast was in 1525, when they destroyed the Mangalore port. Rani Abbakka was alerted by the incident and started preparing herself to protect her kingdom. In 1555, the Portuguese sent Admiral Don Alvaro da Silvereira against the Queen of Ullal Abbakka Devi Chowta who had refused to pay them the tribute. She fought with courage and intelligence and pushed them back. 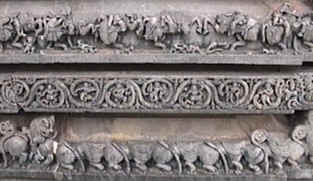 Twelfth century of Karnataka is noted for its socioeconomic, cultural and literary revolution. It was called a total revolution which brought in a sea-change in the life of Karnataka. A rare responsibility of leading that revolution fell on the broad and able shoulders of Basavanna. It was not an accident but opportunity, the time had offered to him. Basavanna was known for his humility coupled with introspection and self criticism. The education he had, made him rich not only in Sanskrit and Kannada literatures but also in religions. He was also gifted with a rare quality of creativity and subtle sensitivity. His studious nature with his subtle sensitivity helped him to exploit the rich treasures of both Sanskrit and Kannada literature. He was compassionate and his love of life helped his creative genius to bloom. His creative personality was sensitive to the problems of the Society. As he was destined to be a leader, his creative genius, scholarship and the social status did not make him arrogant. The compassionate heart he had made him become humble and mellowed his personality. The social and religious conditions of the society and the agony of the oppressed people inspired his creative genius. And he waged a war against untouchability, caste system and inequalities between men and women on the basis of human values. Like a prophet he visualised a dream of creating a new society. This vision of a new society was based on equality and human dignity. This attracted the imaginations of Mahadeva of Kashmir, Shankara Deva of Afghanisthan, Allamaprabhu of Balligave, Adayya of Sowrashtra, Siddarama of Sholapur and others. They were irresistably drawn towards this visionary of Karnataka. The discussion he had with these people related to the ways and means of probing the secrets of life and exploring the possibilities of establishing a new set of human values. It is here that the creative genius of many began to bloom. His words were true and warm with love. They had the glow of a new dream. And the people flocked arround him to listen to his words of lore. What was thrilling about this was that there were washermen, fishermen, cobblers, barbers, tax collectors, doctors, wood cutters, carpenters, blacksmiths, priests and others who belonged to the different stratas of society. Nowhere in the history of literature, we come across with such a rare range of men and women writing Vachanas which had given expression to their dreams of a new society. The creative atmosphere generated by Basavanna inspired even the so called common men like Machaiah, Chowdaiah, Kalavve, Satyakka, Maraiah, Sankavve, Kalakethaiah, Masanaiah, Masanamma, Mahadevi, Akkamma and others. They wrote Vachanas also apart from taking active part in the revolution. Compassionate Basavanna was blessed with simplicity and humility. His scholarship and creative abilities were astonishing. In fact it is rare to find a Vachanakara who does not respect and remember Basavanna in his/her Vachanas. Basavanna’s achievements are multi-faceted. He is the founder of Vachana tradition which influenced the trends in Kannada literature. Kayaka Siddhanta which was cristalised under his dynamic leadership, even to this day, is a great economic theory based on ethics. The revolutionary ideas of Basavanna which inspired intercaste marriage in the 12th century itself is an idea which can help humanity in eradicating not only untouchability but also the ugly caste system. Basavanna, Prime Minister of Emperor Bijjala of 12th Century, was a great mystic, treasurer of Lord’s love, social reformer, visionary, rationalist, socialist, advocate of non-violence, promoter of the cause of downtrodden and women, trend setter in Kannada literature, upholder of dignity of labour, and crusader against untouchability and superstition. He declared, ‘Work is bliss’. He struggled to establish a classless and casteless society based on spiritual and moral values. He endeavoured to establish democracy in religion, society and moral values. His multi-dimensional personality is unparalleled in the entire history of the world. He is the Light of the Universe. Basavesvara was born around the year 1131 A.D., on Vaishakha Shuddha Trutiya, the nakshatra being Rohini. Madiraja and Madalambe are the parents of Basaveshwara. 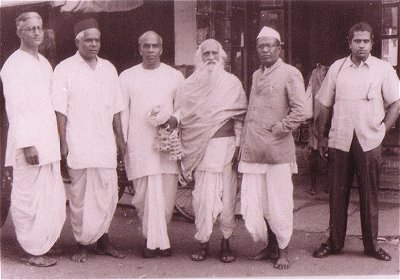 They were the devotees of Nandisvara at Bagewadi. Gangambike, the daughter of Baladeva, was married to Basavesvara. Basavesvara by birth was a genuine devotee and a seeker after truth. It was in Kudala Sangama that Basavesvara’s inner self reached realization in full. Lore of the Saiva Saints like Jedara Dasimayya, Sankara Dasimayya, Revanasiddhesvara, Sakalesa Madarasa and Kondaguli Kesiraja, Nayanars of Tamilnad seem to have impressed the mind of Basavesvara considerably. Such of the Saints as were worshipping God, without any ostentation, submitting themselves to His will, could easily appeal to Sri Basavesvara because he was a kindred soul. 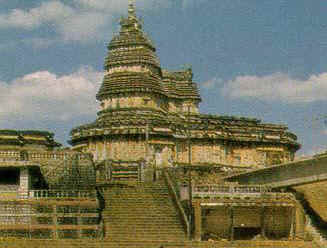 Basavesvara left Kudala Sangama around the year 1152 A.D. Basavesvara first joined Bijjala’s office as a clerk. His sharp intellect very soon drew the attention of the higher officers like Soddala Bacarasa and Bhandari Siddharasa at Mangalawada. When the senior accountants committed a grave mistake in the accounts, Basavesvara would point out the same to the great joy and surprise of Bhandari Siddarasa who took him to Bijjala and got him appointed as a clerk on a salary of 101 honnes per year. Very soon, Bhandari position was also offered to Basavesvara as Siddharasa died without an heir, and Basavesvara was found to be the most appropriate choice. Basavesvara became the Minister to King Bijjala in 1162. Basavesvara’s life at Kalyana since 1154 was most eventful. He wanted to establish a new religion which would elevate the people to heavenly felicity here and in this world itself. Fundamental principles of religion, philosophy and society were discovered and the great Vachana literature took its final shape. Basavesvara was now not only a minister but a central figure and a leader of a great socio-religious movement. As a devotee of high order, as a leader of great movement, Basavesvara was in the heart of the people. The real Bhakti itself was transformed as Mukti. He also established Anubhavamantapa as a symbol of new religion which attracted saints from such far off places like Kashmir, Banaras etc. The social revolution, however, is the hall-mark of this great movement. The cardinal principles for which Basavesvara stood were of equality, liberty and fraternity. He would never accept any hierarchy in society. To him all were equal irrespective of caste, creed, occupation etc. Basavesvara attained union with Kudala Sangamesvara in 1167 A.D.